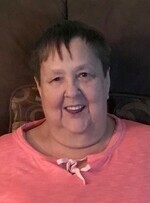 Patricia Beairsto Obituary - Haileybury, Ontario | Buffam Leveille Funeral Home Ltd.
Beairsto, Patriica Irene - With sorrow the family announces the death of Patricia "Pat" Beairsto at the age of 69 years. Pat passed away at Health Sciences North in Sudbury, Saturday, January 5, 2019. Pat was born August 31, 1949 to the late Harry Cooper and the late Roma Fildes. Predeceased by her siblings John Cooper and Barb Oakes. Sadly missed by her loving husband George Beairsto. Survived by her loving children: Clay [Louise] Beairsto, Glen [Chantal] Beairsto, Tammy [André] Cantin, Bruce Beairsto, Amanda Beairsto and Heather Beairsto [Matthew] all of Cobalt. Fondly remembered by grandchildren: Kiera, Landon, Mya, Tanner, Bianca, Alyssa, Melanie and Jonathan. Also survived by her siblings: June Adshead, Jim [Liz] Cooper, Linda [Ken] Pickard, Bruce [Laurie] Cooper; brother-in-law Art Oakes and sister-in-law Nancy Cooper. The Beairsto family will receive friends a the Buffam Leveille Funeral Home Tuesday, January 8, 2019 from 7:00 to 9:00 pm. and on Wednesday, January 9, 2019 beginning at 10:00 am. Funeral services will follow at the Buffam Leveille Funeral Home, Wednesday, January 9, 2019 at 11:00 am. Reverend Sherry De Jonge officiating. Memorial contributions to the Timiskaming Diabetes Program or the Temiskaming Hospital Dialysis Unit [cheques only] will be gratefully acknowledged. Condolences and contributions may be left at www.buffamleveille.com.